In the event that you think that bloggers have to be knowledgeable, let me assure you that (at least for myself) they are not. I simply enjoy finding new things to read, respond to and research – and if I feel you might be interested as well, I do a blog. If you want to know more about something, please let me know and I will do the research and proceed. Circa 1780 the embroidery trade begins to grow in the Vogtland region of Germany, and it centered around the city of Plauen. 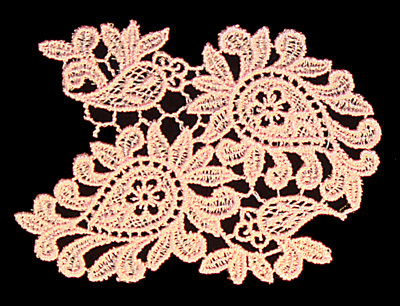 As common for the time, the popular hand-made lace was a significant financial mainstay for the area. It was a lace for the clergy and nobility and rather popular. 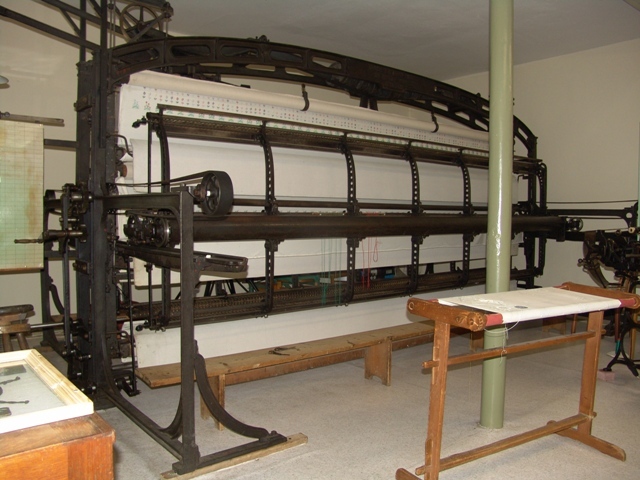 Machine lace began in the mid 19th century with the machines being hand operated. Made with battleship-grade cast iron, working with one must have been challenging. Perhaps that is why our grandmothers never had to go to the gym to work out. . . . If you have read about early embroidery, it was often done with a 'tape' style of format. One can almost see the design within the paper plan. In 1900, at the World Exposition in Paris, Plauen won the Grand Prix and it still is synonymous with the highest quality laces. Interestingly, Plauen had more millionaires than any other city in Germany. 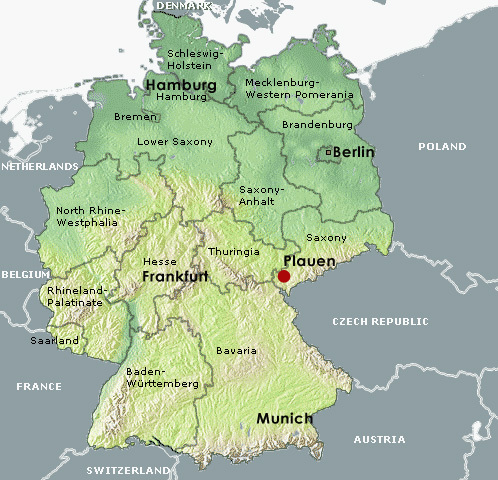 Plauen exports a large amount of laces to the United States. World War I and its aftermath plunged Plauen into the highest unemployment rate in Germany. 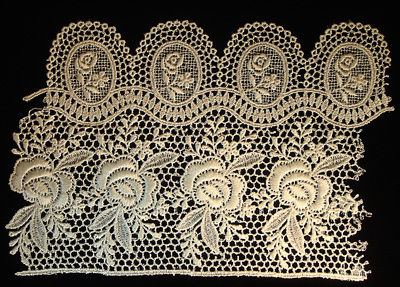 Furthermore, World War IIs bombing of Plauen destroyed approximately 80% of the lace industry. The city was then Soviet occupied. 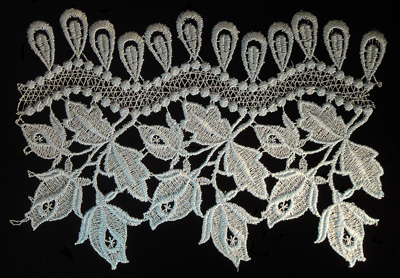 By 1950, Plauen restarted lace production, and at that time was in the East Germany region. 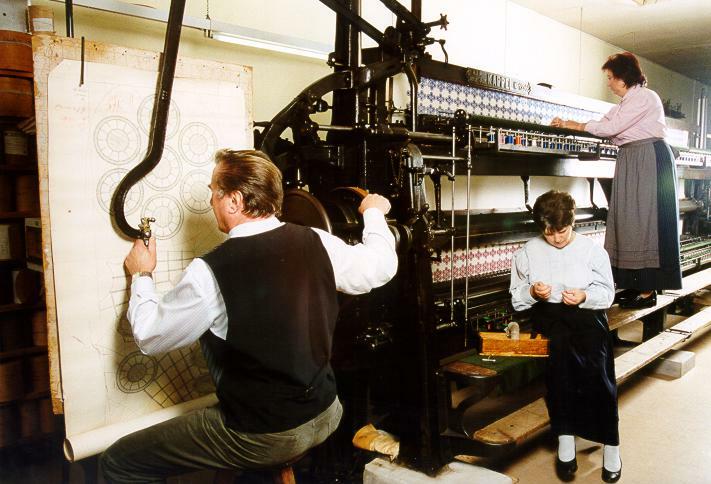 Small, family-owned companies operated until 1973 when the lace production was nationalized. In 1990, Germany's reunification returned the operations back to their owners. Those who toiled at the lace manufacturer kept the tradition of the highest quality through the communist regime. As we well know, the human spirit endures under all conditions. In 2000, significant production was resumed. The Plauener Spitze and Embroidery Association owns the trademark Plauen Spitze and is registered in the US. The member companies adhere to the Association's strict standards, good design, local production and rigorous training of employees. Here at AnnTheGran, John Deer of Adorable Ideas, has a tradition in embroidery as well. 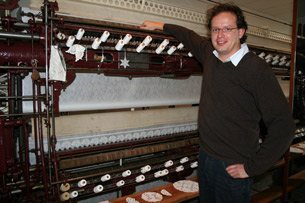 His family immigrated from war-torn Europe to Canada with a (circa) 1910 Plauen Pantograph machine. Embroidery was also done on the Schiffli loom. John's grandparents created what is called "Schiffli" which are designs created by masters of their crafts, learned as young men and they became masters after only many years of dedicated work. 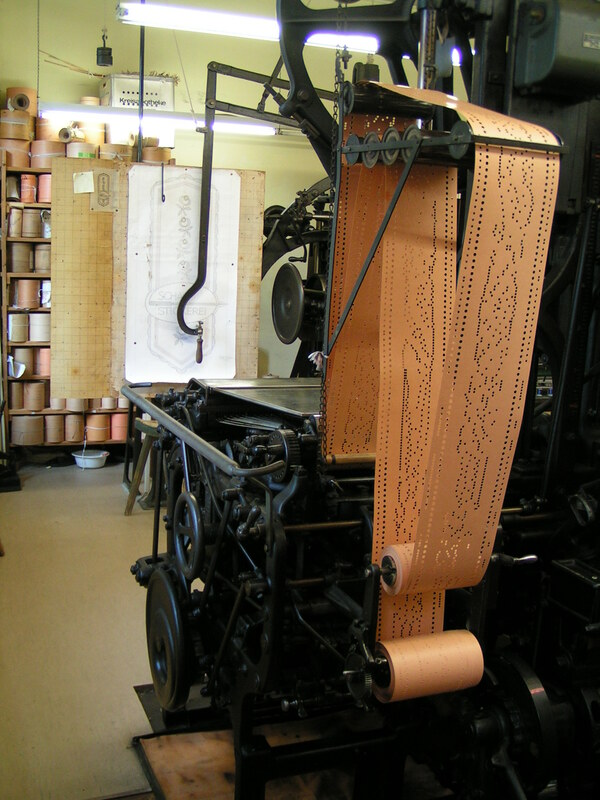 According to John's book, Basic Digitizing Made Easy, digitizing was done on the manual pantograph machine. If you think your experience has been challenging, consider that an entire design was digitized one stitch at a time. There was NO undo button and NO edit opportunity. One mistake and an entire design was ruined. It is a lot easier for you and me! Take advantage of these truly incredible designs, right here at AnnTheGran. These are bridal, baptist and communion worthy with an heirloom quality that is so breath taking! When John says "Vintage" he really means it! I purchased John's book a few years ago and am still amazed the the hands-on training he received at his Granparents factory. From "Bobbin-Boy" to teacher of machine embroidery digitizing. Only in North America! Finish It Beautifully -No Lining Required Get Organized and Save Money Doing It!